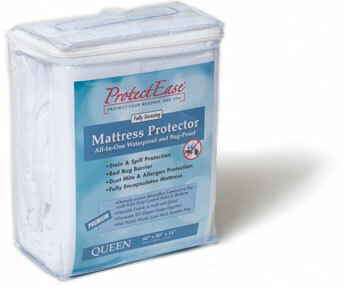 These Protect-Ease Fully Encased Mattress Covers are waterproof and bug-proof. 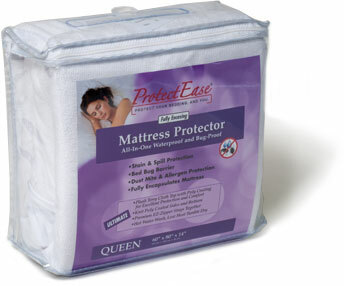 Premium EZ-Zipper stays together and last to the commercial uses of a hotel. 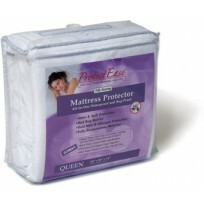 Durable knit fabric laminated with a waterproof polyethylene film. 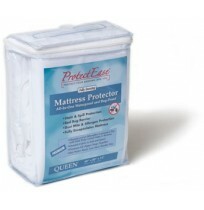 Stain and Spill protection, Bed Bug barrier, as well as Dust and Allergen protection, all at wholesale prices!